The research efforts in these laboratories utilize a large suite of instrumentation to answer and delve into many nuclear nonproliferation research questions. Generally the research focuses on answering questions related to the operations in a nuclear facility which are not shared publically. Typical questions being answered could be simplified to, “what nuclear materials were present, how much, when and for how long” are answered by the research taking place in these laboratories. 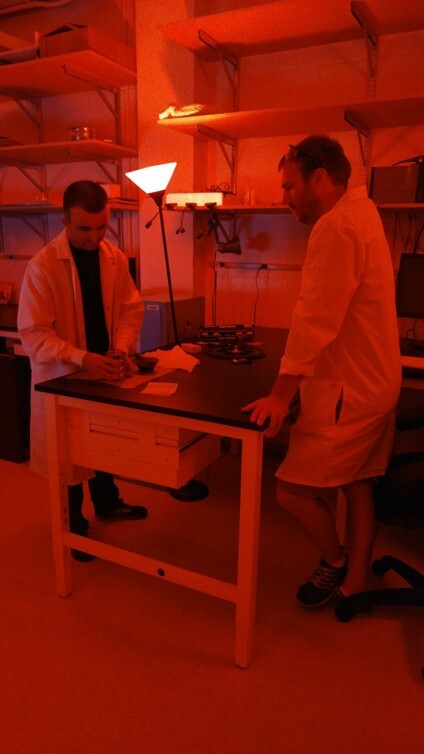 The discipline of retrospective dosimetry at NC State primarily uses thermoluminescence, optically stimulated luminescence and electron paramagnetic resonance. In particular, this is done by measuring the historical dose distributions to materials from the vicinity where nuclear materials had once existed. Taking spatial distributions of dose deposition measurements enable reconstructing the historical locations of nuclear material. Taking dose depth profiles from a core sample enable measuring the mass energy absorption coefficient so that from this profile, the type (alpha, beta, gamma) of radiation and its gross energy distribution can be measured. A single exponential decay profile interprets to a single gamma energy group or the superposition of decaying exponentials can be deconvolved into multiple energy groups from which a radiological materials isotopics can be inferred. Having measured the dose and knowing the maximum time the source could have been present then gives the minimum dose rate from the source and so likewise its minimum activity. Typical materials of interest include, bricks, tiles, cinderblock, bone, candy, plastic, sheetrock, concrete aggregate, porcelain (or put simply dry non-conducting materials). The current focus for this research is related to air samples taken downwind of the effluent from a nuclear facility. This laboratory utilizes portable high purity germanium, phoswich, liquid scintillation and surface barrier detectors to characterize nuclear materials obtained by air samples. Air samplers are used (of the same kind as those employed by federal radiological emergency response teams) to obtain samples for the testing and development of theories for radioactive aerosol effluent and its characterization. 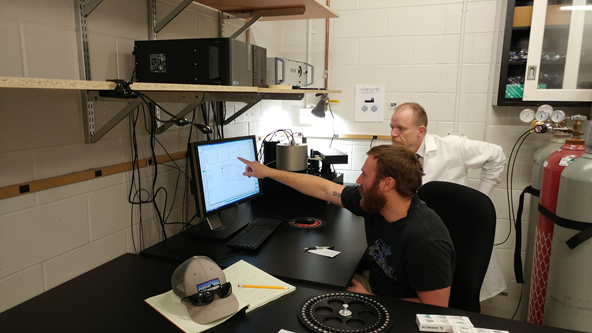 The entire lifecycle of an air sample is currently under study to improve quality via rigorous uncertainty characterization and throughput optimization. This entails radon progeny mitigation, plume modeling integration along with concomitant accuracy and precision improvements. Probabilistic evaluation of counts, aerosol evolution effects and radon progeny dynamics typically require sophisticated numerical and statistical analysis approaches but are similarly rich with physical meaning. 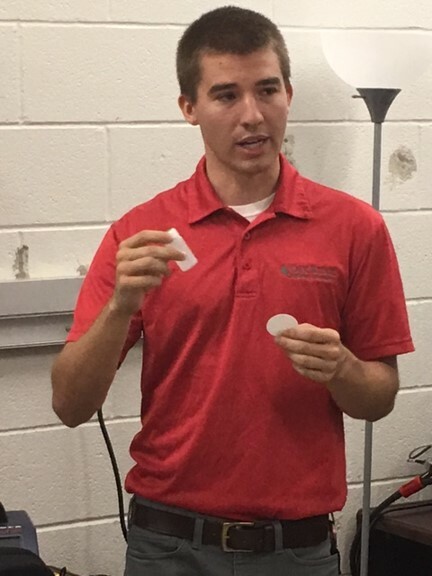 Joseph give tours of the RDNA labs during the annual Nuclear Engineering Department Advisory Council (NEDAC) meeting. NEDAC consists of fifteen members from the nuclear industry and its purpose is to provide observations, advice, feedback and support to the Nuclear Engineering Department and the students within. 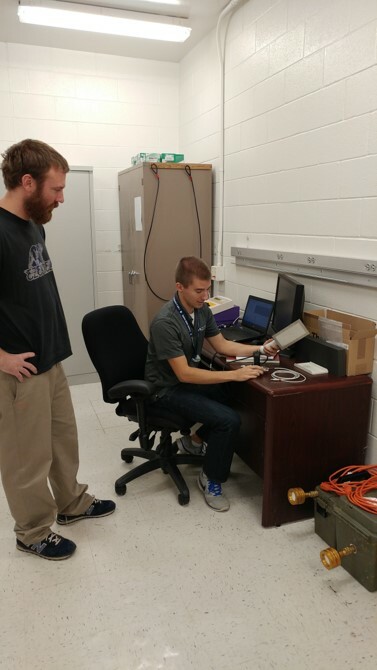 Ryan and Joseph begin set-up of the Radeye Sx, a multipurpose handheld detector. 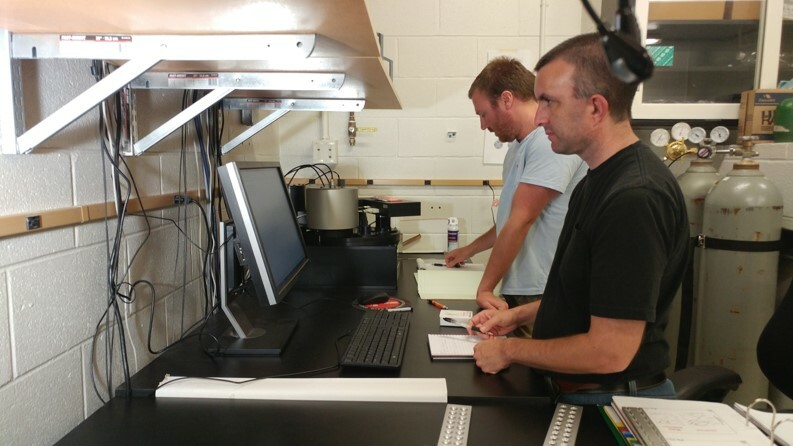 Ryan O’Mara and Dr. David Hooper, a guest from Oak Ridge National Laboratory, run through various aspects of Ryan’s retrospective dosimetry research regarding dose depth profiles in bricks. 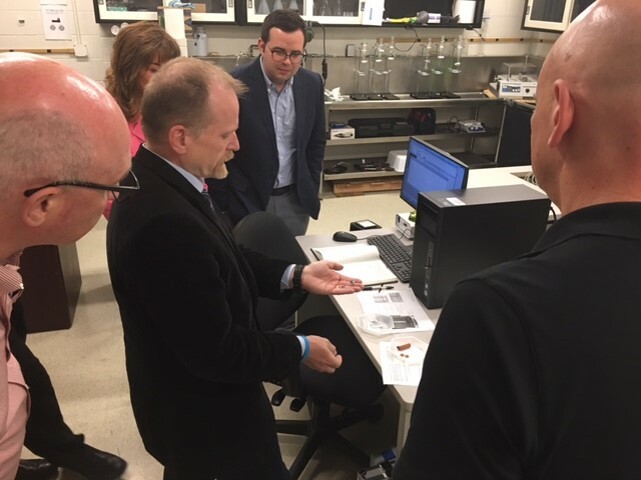 Dr. Hayes give tours of the RDNA labs during the annual Nuclear Engineering Department Advisory Council (NEDAC) meeting. NEDAC consists of fifteen members from the nuclear industry and its purpose is to provide observations, advice, feedback and support to the Nuclear Engineering Department and the students within. 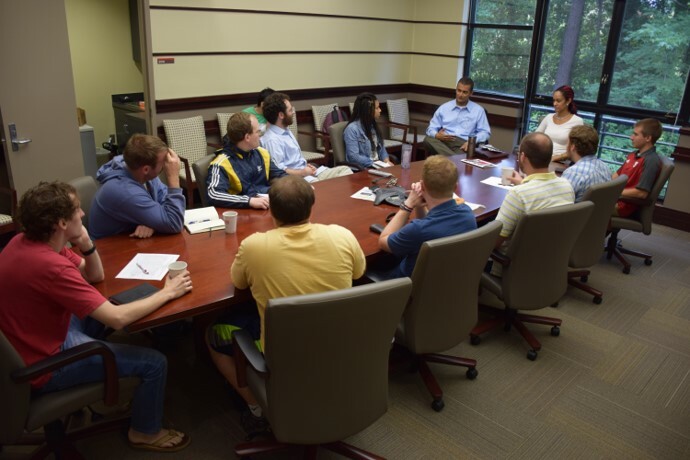 The RDNA group meets with Dr. Sood, among other graduate students, to discuss research and the work being done at Los Alamos National Laboratory. Ryan, Joseph, and Dr. Hayes also gave a tour for Dr. Sood, providing insight to the research being done in the RDNA labs. The RDNA Group hears the Consortium for Nonproliferation Enabling Capabilities’ inaugural Distinguished Technical Lecture & the Department of Nuclear Engineering’s Graduate Seminar Speaker. 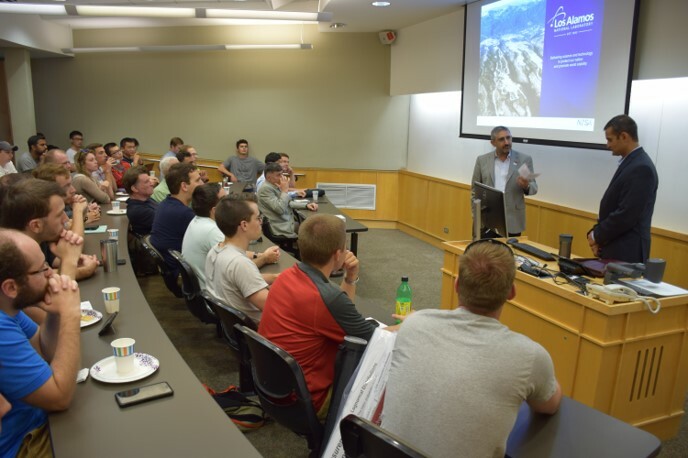 The speaker, Dr. Avneet Sood, gave his presentation titled “Nuclear Safeguards, Monte Carlo Method and MCNP – A Review of Our 70 Year History.” Dr. Sood is the Group Leader for Monte Carlo Methods, Code and Applications at Los Alamos National Laboratory. 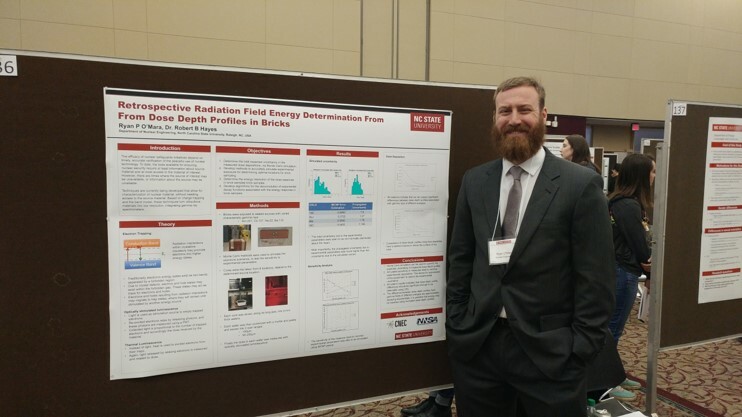 Ryan O’Mara presents his research during the poster session at the 2017 NCSU Graduate Student Research Symposium. Joseph Cope uses a Bladewerx Sabre detector along with a proportional gas counter to measure air samples during his research. Dr. Hayes and Ryan review data from TL/OSL Reader. Joseph Cope shows and operates air samplers outside of Research Building II on NC State’s Centennial Campus. 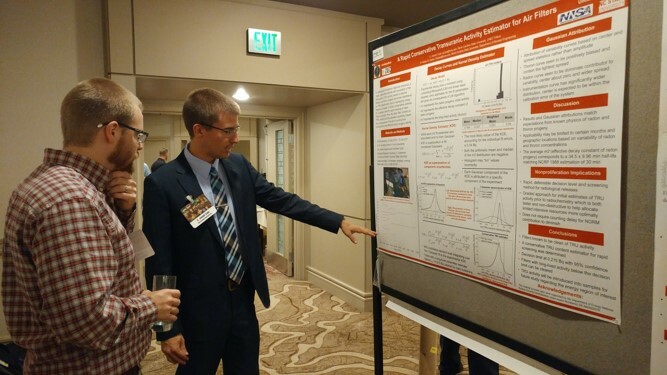 Joseph explains his research during the NNSA’s Office of Defense Nuclear Nonproliferation Research and Development’s (DNN R&D) annual University Program Review (UPR) meeting in Walnut Creek, California. The UPR 2017 review meeting is an opportunity to showcase the DNN R&D funded research projects from universities and their laboratory partners to the broader nuclear security and nonproliferation community.